3 Mortgage Brokers in California You Should Be Competing With! Home > Blog > 3 Mortgage Brokers in California You Should Be Competing With! A mortgage broker acts as the intermediary between the borrower and the lender. 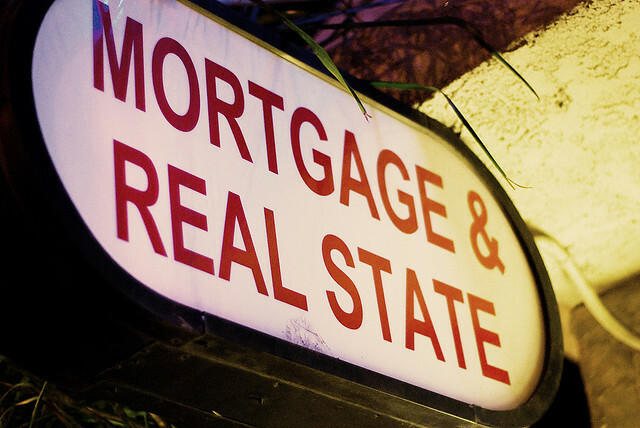 2014 has been a turbulent year for mortgage rates in the United States, and especially in California. Homeownership has been on a steady decline for the past few years, reaching its lowest rates in 10 years in April. Recovering home prices and mortgage rates, which have climbed from near-record lows last May, have put real estate out of reach for some potential buyers. Being successful as a mortgage broker in the current market has become increasingly hard. This goes double for those working in California, where property prices are very high, and are not affordable for most buyers. To lend you a helping hand, we’ve compiled a list of the best California brokers in the business and what they’re doing right, along with some information on how to get started as a broker yourself. Alpine Mortgage Planning is a division of Pinnacle Capital Mortgage Corp (PCM) and has bases in both San Jose and Newport Beach, California. For the past five years they have established themselves as one of the leaders in the mortgage planning branch in California, having been rated the number one mortgage lender in the Best of Yelp survey for 2009 through 2012. Their parent company, PCM, has won a multitude of local and national prizes, such as the 2011 Employer’s Choice Award for Sacramento , the Scotsman Guide TOP 10 Lender in the nation for 2012 and 2013, and is a three time winner of the Oregon Business Magazine’s 100 Best Companies. Each prize is regarded as a stamp of approval from different industry professionals, which drives a larger customer base to the mortgage broker. Receiving various accolades is surely part of Alpine Mortgage Planning’s road to success as they are a proof that you are working with one of the best. Therefore, enrolling your company or staff members in various competitions, and ultimately winning some of them, might turn out to be extremely beneficial for your business. Alpine Mortgage Planning also offers a variety of loan programs for first-time buyers, including down payment gifts and loans for borrowers with bad credit. Official Mortgage is a company based in Los Angeles, California, and has the highest social media influence of all the local mortgage brokers. It currently has 1, 034 Twitter followers, which is a lot for a local broker. What’s driving this company ahead of the competition is their website, which is equipped with a multitude of tools, articles and widgets designed to help the customer self-educate. A great example is their Rate Quote calculator, which can give visitors an estimate of how much the broker can help them lower their monthly payments, improve their credit scores, and how fast they can close their loans. Official Mortgage also has 19 different types of mortgage calculators. Customers can check how much their tax benefits will be, the actual Annual Percentage Rate (APR) for their loans, how much income they need in order to qualify for a mortgage, and much more. 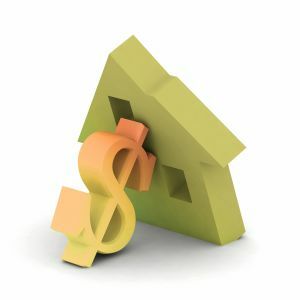 Another good feature of Official Mortgage is their regularly updated blog with tips on how to improve one’s equity or better modify one’s mortgage plan. Supporting a quality blog on your website is a great strategy for success, because it serves as proof that you are knowledgeable in your sphere and it helps you grow a steady audience. This audience can later turn into prospective buyers, or it can refer new people and other potential buyers to your blog and company. Sarah Lin is a licensed mortgage broker based in Downey, California. She’s a high-ranking local broker, sporting the second-best social media authority score for that area. Sarah Lin is also a real estate broker and on the Board of Directors of the Asian Real Estate Association of America (AREAA). She specializes in helping clients complete the full circle of selling their old home and purchasing a new one. Her success is due not only to her talent, but also to the way she combines it with a helpful site and a strong online presence. There are many valuable tools and widgets on her website, which can help clients put an estimate on their home’s worth based on the home’s size, year of construction, number of rooms and location. Furthermore, Sarah Lin’s website is equipped with a Mortgage Marketplace where clients can see and compare the mortgage rates of the leading mortgage lenders and banks. The rates are updated daily. Are you looking to become a mortgage broker in California and join some of the best in the business? It takes passion, skill, and above-all, professional savvy to rise to the ranks of the brokers we listed above. But before you set out on this great journey, you first have to get licensed. Getting a mortgage broker license in California might be a little bit more difficult compared to other states due to the stricter requirements, but it will also be more rewarding in the long run. California mortgage brokers are licensed as real estate brokers by the Department of Real Estate. Mortgage Lenders are licensed under the RMLA and Finance Lender Laws. RMLA licensees can only broker loans after they have entered into a written agreement with an institutional lender as well as the borrower. These licensees are also limited in a) the type of loans they may broker and b) the size of the fee they may require. Applicants must be at least 18 years old and have two years of experience as a licensed real estate agent. They must complete eight courses and sit an exam. Getting bonded is another requirement that prospective mortgage brokers need to fulfill before obtaining a practicing license in the State of California. The Mortgage Broker Surety Bond guarantees that you will follow the state rules and regulations. For California, the requirement is a $50,000 to $200,000 bond for mortgage servicers and a $25,000 to $200,000 bond for finance brokers. You can obtain a mortgage broker surety bond through a surety bond agency, such as Bryant Surety Bonds.We guarantee our clients fast approvals and the lowest bond premium rates. Even having a bad credit score is not a deal-breaker with us! Simply apply online and get a free quote today!